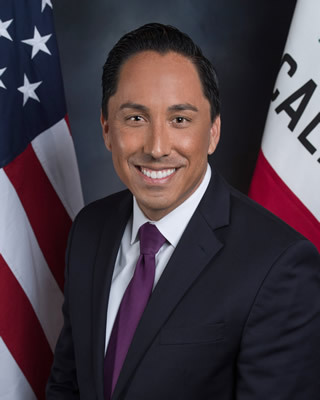 We are excited about this year’s Asian Cultural Festival, as not only is it our 10th year, but we are proud to announce the 2019 Asian Cultural Festival Guest of Honor – Assemblymember Todd Gloria! In December 2016, Todd Gloria was sworn in as the California State Assemblymember for the 78th Assembly District making him only the second person of Filipino heritage ever elected to the California State Assembly. Todd began his public service career working for the County of San Diego’s Health and Human Services Agency. He went on to join the office of U.S. Congresswoman Susan Davis serving as a community representative and eventually her district director. Having developed a passion for housing and homelessness solutions, Todd was appointed as a San Diego Housing Commissioner from 2005 to 2008. During his two full terms on the City Council, Todd was selected by his peers to serve as City Council President for two terms and served as the City’s Interim Mayor from August 2013 to March 2014. Todd’s service as the City’s Interim Mayor is credited for restoring the public’s trust in city government. He strengthened the City’s organizational structure and developed a groundbreaking, legally-enforceable Climate Action Plan. We are proud to have Assemblymember Todd Gloria as the Guest of Honor at our 10th Annual Asian Cultural Festival!